Wealden have added a vari-angle cutter head to their extensive CNC cutter range. The head allows various angles to be cut on 3-axis CNC machines and features two replaceable double-sided TC knives. 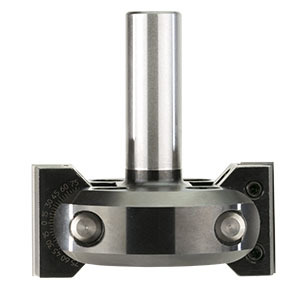 The cutting angle is adjustable in five degree indented steps or by using the Vernier scale in one degree increments. The heads rotate 45 degrees upwards and 90 degrees downwards. The cutter is Italian-made and available to buy online at the Wealden website.